Help keep your pony healthy with the right nutrition. As you probably know, every horse is an individual. Some seem to gain weight seemingly by breathing air, while others can eat three times as much and still look super lean. This means you need a slightly different nutrition program for each and every horse, but it doesn’t have to be complicated! Follow the advice below to get started on the right track. Do you have any horses in your care that are retired or not regularly worked? This is considered “maintenance” needs in nutrition terms. Basically, just hanging out. 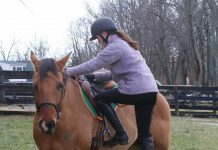 The opposite would be a performance horse used in an intense sport, such as eventing or endurance. These horses usually need a lot more calories than a horse at maintenance. 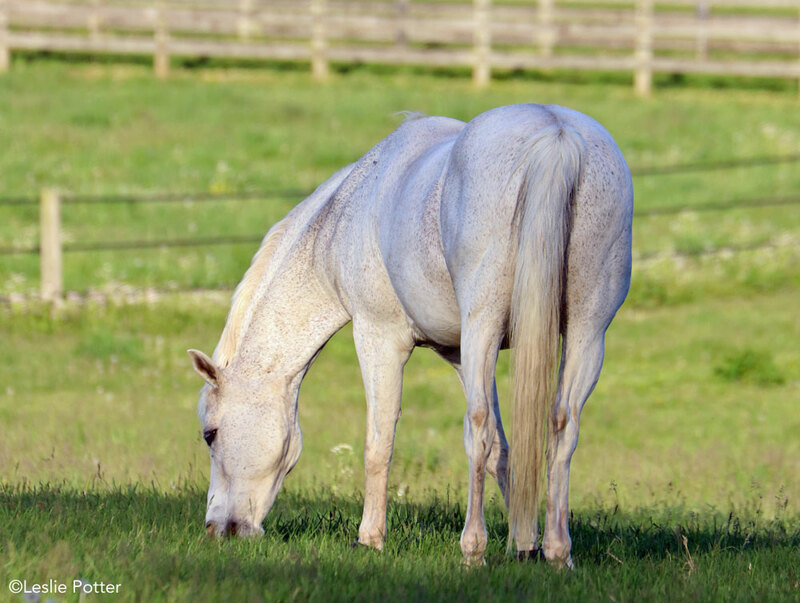 Whichever category your horse fits in, the majority of his diet should be forage—hay or pasture. This provides the high-fiber diet horses need. Horses are designed to graze all day and constantly digest fiber; this keeps their digestive tract healthy and happy. Start with a good-quality hay. It should smell fresh and not be too stiff with woody stems. Horses should eat about 2 percent of their weight in forage (20 pounds for a 1,000-pound horse). If you’re not sure how much your horse weighs or how much he should eat, talk to your vet. The more high-energy work your horse does, the harder it will be to keep him at the right weight just eating forage. Fortunately, there are many feed companies making “concentrates,” or bagged feeds, formulated for horses. Concentrate just refers to concentrated calories; they can include grain, fiber, fat, molasses, et cetera. If you decide to pick out a concentrate, make sure it matches what your horse does. For example, you don’t want to give a broodmare feed to your performance gelding when there are lots of performance feeds out there! Most importantly, always read the feeding directions and weigh it out so you’re giving the right amount to get the intended results. If you’ve ever had an easy keeper or a hard keeper in your barn, you know how frustrating it can be. In a situation where every horse in the barn gets the same ration and most are a good weight, a horse or two might stay fat or skinny. For a thin horse that won’t put on weight, first have your vet out to check his teeth, and test for parasites or illness. If his health is good, you will need to add more calories to his diet. One way to get started is with his forage. Alfalfa hay tends to contain more calories than grass hays, so that’s one place you can start. If you don’t have alfalfa hay in your area, most feed stores at least sell alfalfa cubes, which can be fed along with his regular grass hay. The next step is to switch to a concentrate with a higher fat content. Instead of just increasing the pounds of feed he gets and possibly upsetting his digestive tract, either add a fat or oil supplement to the feed, or buy a concentrate that is formulated high in fat content (usually 10 to 12 percent instead of 2 or 3 percent). Fat has twice as many calories per ounce than any other food source. If you’re not sure how much to feed, ask someone at the feed store or your vet. The challenge with easy keepers is preventing them from getting bored if they’re shut up in a stall or dry lot to keep them from grazing. Feed good-quality grass hay in small-hole hay net to extend meal times and prevent boredom. Your easy keeper won’t need the calories of a concentrate; instead, a ration balancer is recommended: these contain all the vitamins and minerals he needs without extra calories from molasses or grain. If you ride a horse that’s 4 or 5 years old, his nutritional needs are probably different from a horse that is 20 years old. 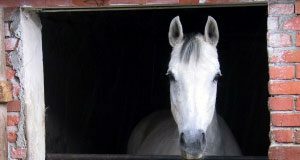 As they age, horses lose the ability to absorb the same amount of nutrients from their feed compared to a younger horse. 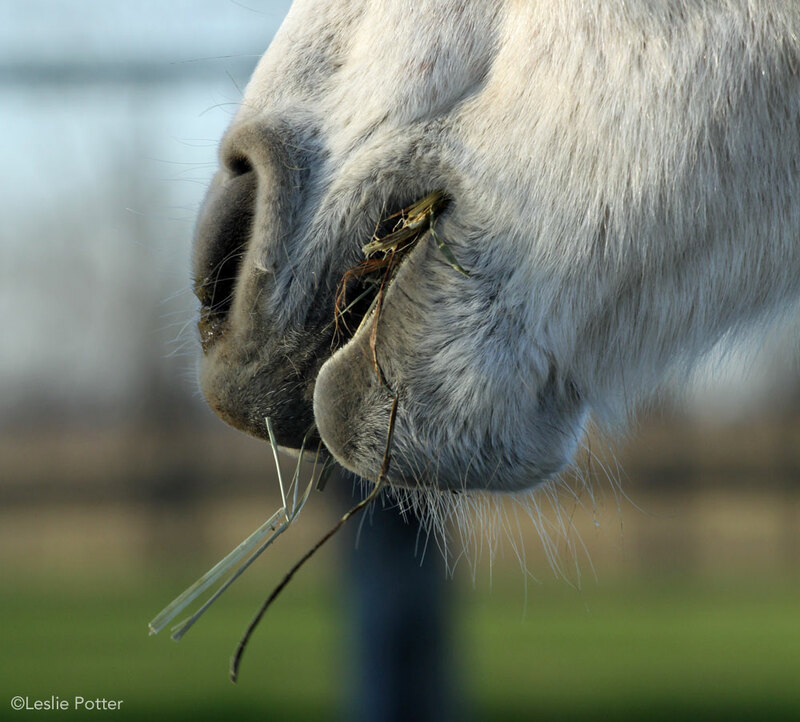 If your horse’s teeth are starting to have problems from old age, he may need to switch to an easier forage to eat, like hay cubes or pellets that have been wetted down to make them into a mushy soup. There are lots of excellent senior feeds on the market made with older horses’ needs in mind; these take the guesswork out of supplementing a normal performance horse feed. Whatever type of horse or pony you care for, attention to his diet is very important. When he is a healthy weight and feels his best, you’ll be able to ride him more and have fun! This article originally appeared in the January/February 2017 issue of Young Rider magazine. Click here to subscribe!